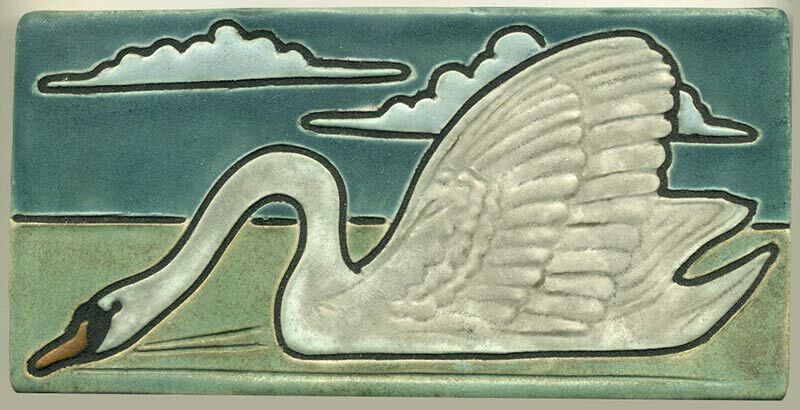 These Swan tiles each measure 4" high by 8" wide. The tile surface is fairly flat, with some subtle detailing in the feathers. The swans are mirror images of one another. 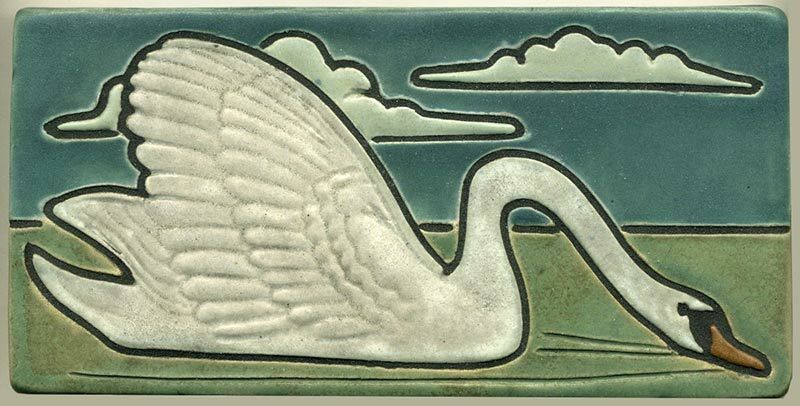 In the multi-color option, we apply black grout to the tile that fills in lines around the swan. Or choose from any single color. 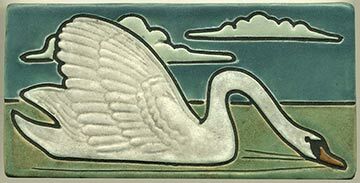 Colors shown: everglade sky with white swan and gray-green water.